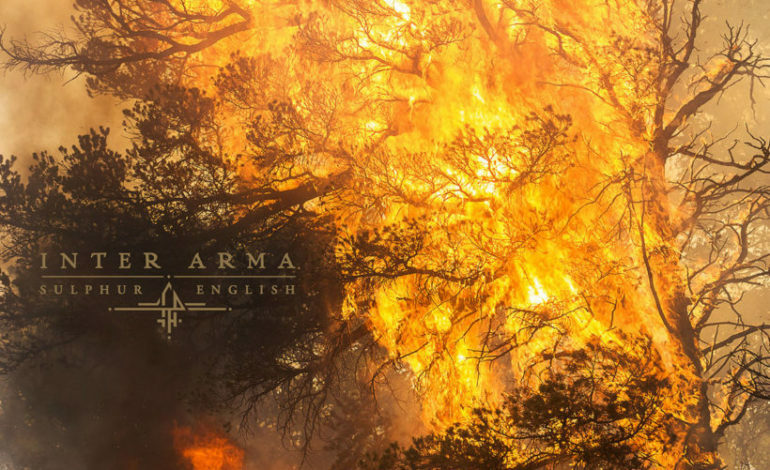 With just over ten years under their belt as a group, Inter Arma is back with their fourth full-length album, Sulphur English. As a band that has defied genres since the start, they continue to do so with this album. Labeled as a sludge/black/death/post-metal band, this album does portray most of those genres but also exudes doom with its slower tempo and low-tuned guitars. Out of nine tracks, only two are below six minutes long and they also happen to be the only two tracks that don’t have any lyrics. While “Bumgardner,” the opening track and “Observance of the Path” don’t have any lines, their purpose is to create a slow build-up to the proceeding songs. Even though the two tracks are different, they both create the same suspenseful feeling that is seen in horror movies when building apprehension. On the other end, “The Atavist’s Meridian” and “Sulphur English” are the two songs on the album that exceed 11 minutes. Long songs can go either way; they may drag on or they may show listeners that every minute and second was needed to fulfill the purpose of the song. For these two tracks, Inter Arma show how every second is purposeful, even in a lapse of lyrics. The entourage of instruments guides the eardrum until new words breach people’s ears. Compared to the rest of the album, “Blood on the Lupines,” the second to last track, is vastly different than the previous songs due to the vocals. With slow, punctuated lyrics that echo and create an omen-like effect, listeners are jarred by the new sound. Not only are the vocals slow and drawn out, but the accompanying instruments are as well. The drawn-out notes enhance the vocals and add to the overall vibe on the particular song. And, while most of the songs are heavy, “Stillness” provides an acoustic break in the middle of the album, making it another stand out song due to the instrumental choice. Overall, Inter Arma continues to produce original content with another genre-defying album. Why stick to the confines of one genre, when the band knows how to incorporate so many in a tasteful manner?